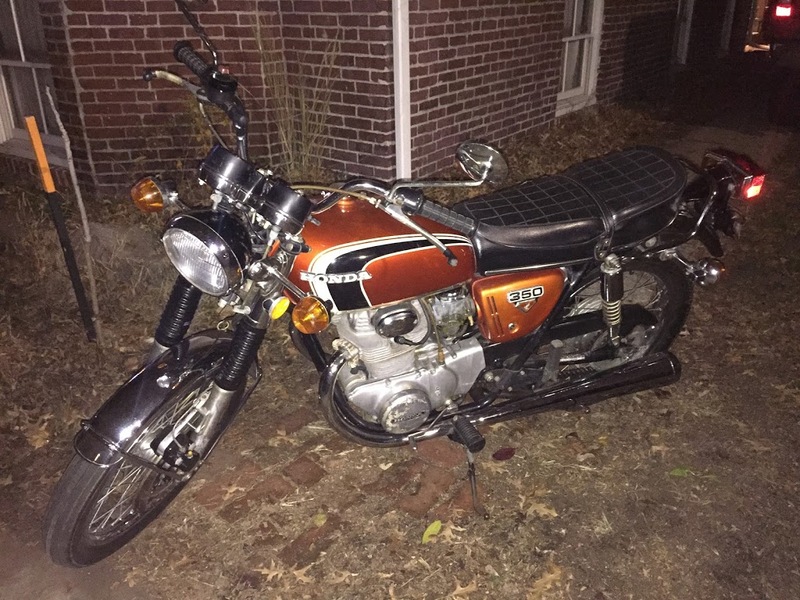 I just picked this up 🙂 It’s a Candy Orange 1973 Honda CB350G. 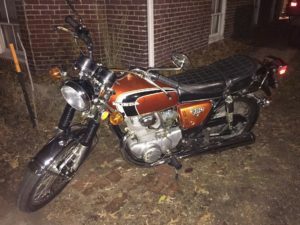 I just got my 1972 CB500F running about that time. I love it. I hated the puke green when I bought it but the 4 cylinders makes for a great ride and sound.